Although the charges for hair transplant vary from country to country, place to place and surgeon to surgeon. Hair Transplant Cost in our country is very less as compared to abroad (western countries). Affordability of cost Promoting medical tourism for Hair Transplant. Fore more info call us – +91-9144444433 (Whatsapp). Within India also there is a large variation in the total amount to be paid for hair transplant. 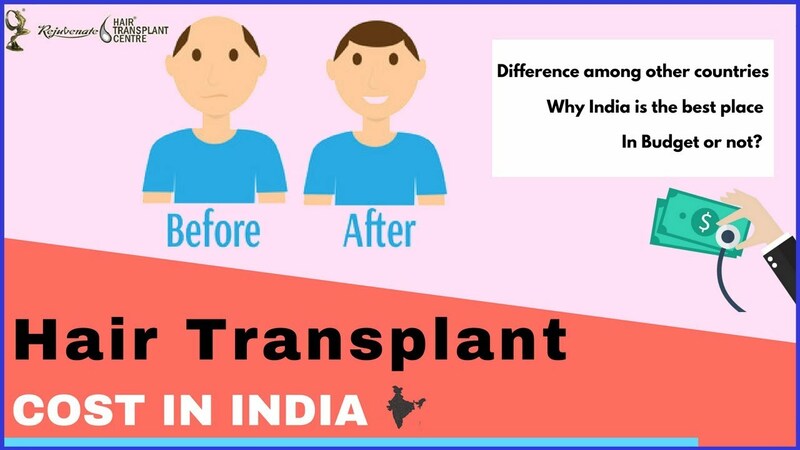 The cost of hair transplant India cities like Bhopal, Rewa, Gwalior, Jabalpur, Ujjain, Khandwa and Raipur is lesser than the cost in Mumbai, Delhi there is a huge difference. 1. First, we should understand how a surgeon is charging? The parameter of the hair transplant cost first has to be decided like some surgeon charge per square centimetre area coverage, other charges as per the number of hair, and some charges as the number of grafts. Here it should be clarified that one graft or root contains more than one hair. The average is 1 graft = 2.3 hair. So my advice is the hair transplant cost should be as per the number of hair or number of grafts not according to the area. This clearly defines how many numbers of hairs you are going to have in this much amount. 2. Very commonly we see advertisements which claim to implant unlimited number of hairs or full head coverage. It is the scientific fact that ta the number of hair from donor area is a limited and total number of hair in the scalp is one lakh (105), so claim to cover entire scalp is not correct. If they tell you they are going to cover complete head then you must ask how much density you are going to get. 3. Usually, the hair transplant cost varies from Rs.10 per hair to Rs.50 but it also depends on the city and experience and expertise of the surgeon. 4. At some centre hair transplant cost also depends on the technique of hair transplant. BHT is the costliest than FUE and FUT. At Rejuvenate Hair Transplant Centre charges of FUT/FUE and BHT are same. One FREE PRP (Platelet-rich plasma) Therapy is provided during transplantation also grafts are kept in Plasma (Powered Hair Transplant) for getting best and early result. 5. Another important point is in India is GST which is till date it is 18% is extra. You must ask your surgeon the price which he has quoted includes GST or not. 6. Also, you must ask about any other charges like medicine replacement, follow up fees, dressing. 7. In some of the clinics and hospitals across India, EMI facilities are also available for hair transplant cost. The qualification of Hair Transplant Surgeon and his experience. International Accreditation he is having. ISHRS and ABHRS are two most authentic organisations; you can search for a qualified hair transplant surgeon in your location on their websites. Which technique and instruments he uses, is he is operating in a registered medical centre and equipped with all emergency care instruments etc. Hair transplant is teamwork so inquire about his assistants, their qualification and experience, are they working full time. If a centre maintains and runs a group of highly qualified and well-experienced team the surgery hair transplant cost also becomes little more than others. Who is going to extract the follicle from the scalp, what is his usual follicle transaction rate? If possible you must see his post-op. results and talk to one or two of his patient. Many times the comments given by patient on his website may not be true. 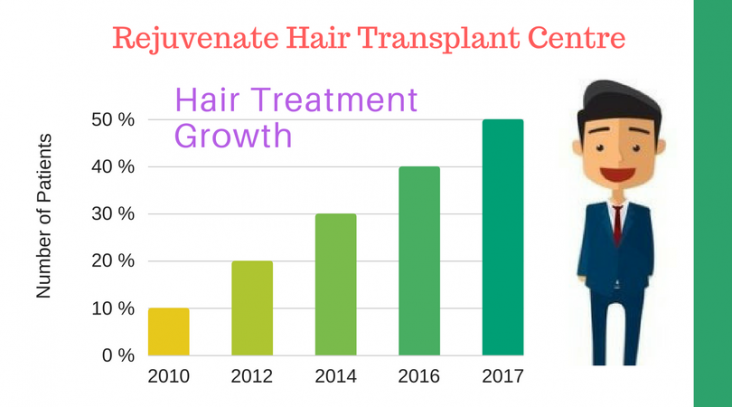 At Rejuvenate Hair Transplant Centre you get world-renowned hair restoration surgeons and experienced doctor who are well known for the best hair transplant cost at an affordable price and guaranteed successful natural results.